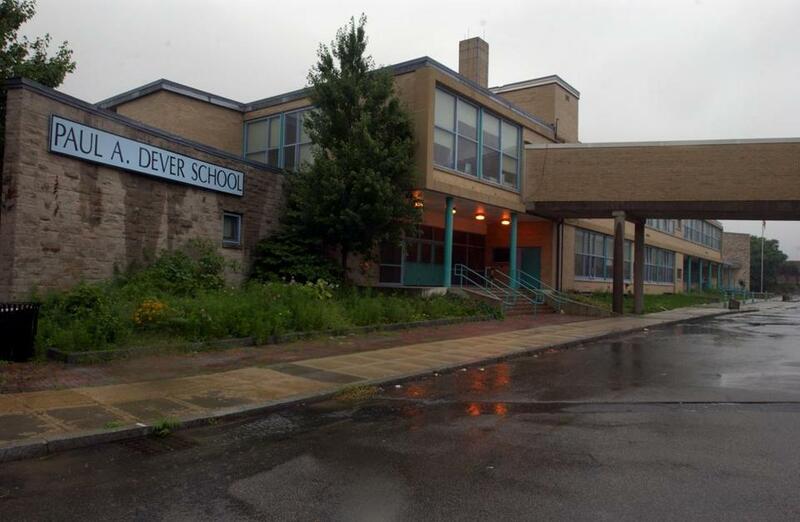 The Dever Elementary School in Dorchester was one of three school buildings deemed by the report to be in poor condition. Most of Boston’s public schools need significant repairs or renovations, according to a city report being released Wednesday that should kick off the most comprehensive building overhaul in nearly four decades. The much-anticipated report, more than a year in the making under an initiative known as BuildBPS, sizes up that challenge by examining the condition of every school from the roof to the boiler room to even the water bubblers and the wiring. It determined that almost half of the city’s 125 schools were in fair condition, the middle of a five-step rating scale, indicating that they will confront some level of construction challenge in making the repairs and could require significant time to fix the problem. Many other schools received good, or in a few cases, excellent ratings for the quality of their buildings, while three were deemed to be in poor condition, the second-lowest rating. Those three schools were the Samuel Adams Elementary School in East Boston, Community Academy in Jamaica Plain, and the Dever Elementary School in Dorchester, which has been under state receivership for the last three years and has been struggling with declining enrollment and high teacher turnover. City officials stressed they have no preconceived plans to address the problems at each school and said they will hold citywide discussions to come up with the best approaches. “Build BPS is not a list of school closures and it is not a list of specific school projects we want to do moving forward,” Ben Vainer, director of strategic initiatives for the mayor’s education cabinet, said in a briefing with reporters that gave an embargoed preview of the report. Mayor Martin J. Walsh, who has pledged to spend $1 billion over 10 years to upgrade or replace schools, plans to unveil the report during a Wednesday lunch held by the Boston Municipal Research Bureau, a government watchdog funded by businesses and nonprofits. The creation of a longterm facilities and education plan has been a volatile issue. A firestorm erupted last year after parents accused Walsh of secretly plotting to close dozens of schools. They had obtained information through a public records request that revealed a city-commissioned report recommended closing or consolidating up to 50 schools as part of a master facilities plan. Walsh denied the accusations, and he and the School Department distanced themselves from that report. But the issue of school closures is expected to flare again this year as Walsh faces a reelection challenge from City Councilor Tito Jackson, who emphatically opposes school closings and is making inroads among like-minded parents. Wednesday’s report is expected to be highly scrutinized by parents, who will be looking for any glimmer that school closings are on the horizon. The new report addresses this issue head on, and came up with a dramatically different conclusion than the earlier report. Although the school system has room to accommodate over 10,000 additional students, based on how classrooms are currently configured, the schools would not be able to handle additional students after school buildings are renovated. That’s because the report concludes that about two-thirds of the schools lack adequate space for cafeterias, gymnasiums, art rooms, or music rooms, or do not have classrooms large enough to offer a 21st century education. Modern instruction stresses hands-on projects that require students to move around as well as having sophisticated networking systems to run dozens of computers simultaneously — a must as the state moves the MCAS exams online. More than half of the city’s schools were built before World War II, a time when schools could get by with small classrooms because students sat in tight rows of desks and cutting-edge technology was merely a radio tuned to educational programs or the textbooks that were replacing hand-held slates. To bring these schools up to date, classrooms would need to be enlarged, reducing the overall number of rooms, while other common spaces such as music or lunch rooms could be created. In the end, the report says, the school system would have just enough space to educate about 56,000 students, the current enrollment level. But the city expects to see enrollment rise by 2,000 students over the next decade, leaving a potential space deficit. In compiling the report, a team of architects, engineers, and education planners began visiting each school last winter and recorded reams of information on an 11-page standardized form. In many cases, they took out measuring tapes to size up whether rooms measure up to current state standards for the sizes of classrooms, art rooms, gymnasiums, and cafeterias. The master planning process is being overseen by the Cambridge-based firm Symmes Maini & McKee Associates. It’s been more than a decade since Boston opened its three newest schools, although one is finally being built this year in Roxbury. But the city’s last major school construction boom took place in the 1960s and 1970s, when dozens of buildings went up. In the ensuing years, enrollment began dropping sharply, leading to several rounds of school closures.